Last week we blogged about how the industry in which you work could determine what viewing solution you need. This week, we look at the second step you can take to determining which viewing booth or lighting solution is best for you; how big is the subject matter you’re examining? The open style of desk lamps means they illuminate areas of around A5 to A3 sized paper, depending on the size of the desktop lamp – perfect for photography prints of similar size. Anything any larger and you would need to consider a larger viewing booth. Generally, you should aim for a booth that gives you an illumination/work area 4 cm x 2 cm larger than the print being viewed. Booths cover sizes from A4 to A2, with A3 landscape being the most popular format size. For viewing untrimmed press sheets or artwork, it is recommended to have a few cm leeway either side. Some large format booths have two illumination areas consisting of a back wall and angled desktop. 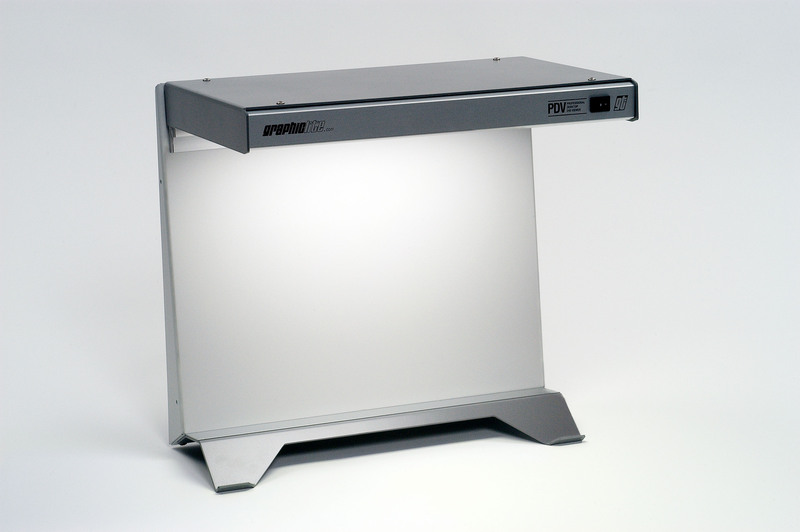 Units can range from an illumination area of 50 x 70 cm, 70 x 100 cm or even up to 100 x 140 cm. Usually take the form of an open fronted box. Sufficient space around the type/shape of product being viewed should be allowed, particularly height space. The most popular desktop size provides and internal work area of approximately 35 (h) x 60 (w) x 35 (d) cm, with larger units also available. Symmetric – illuminate a table top area equivalent to the size of the luminary, plus around 15-20 cm on all sides. Optimum lamp distance from luminary to surface is around 100 cm. Asymmetric – similarly illuminate an angled work surface equivalent to the luminary size/area. They can also illuminate vertical walls. Parabolic Lens – recommended to achieve good vertical illumination. The GTI GLE-1032P for example provides an illumination over a 5 ft (150 cm) drop. To extend the range to 7 ft (200 cm) a lower Luminaire can be positioned on the floor. The back-lit surface will illuminate an area approximate to its size. Units range from relatively small desktop units to standalone tables on legs. In the next entry, we look at the third step to determining what solution is best for you; light source requirements. This entry was posted in Lighting, Photography and tagged Light, Viewing Lights on September 29, 2011 by colorconfidence. Viewing booths and lights explained. Part 2 – what industry are you in? Last week, we looked at the basic elements of lighting conditions; Lux, Kelvin and Environment which you can read again here. Today, we look at the first of 3 steps you can take to work out which viewing solution is best for you. Step 1 – What type of industry are you in? The industry you work in, and the sorts of products or images you work with can help determine which viewing solution is best suited to your requirements. Solutions can range from compact desktop viewing lights, to the more complex luminaires and viewing stations. 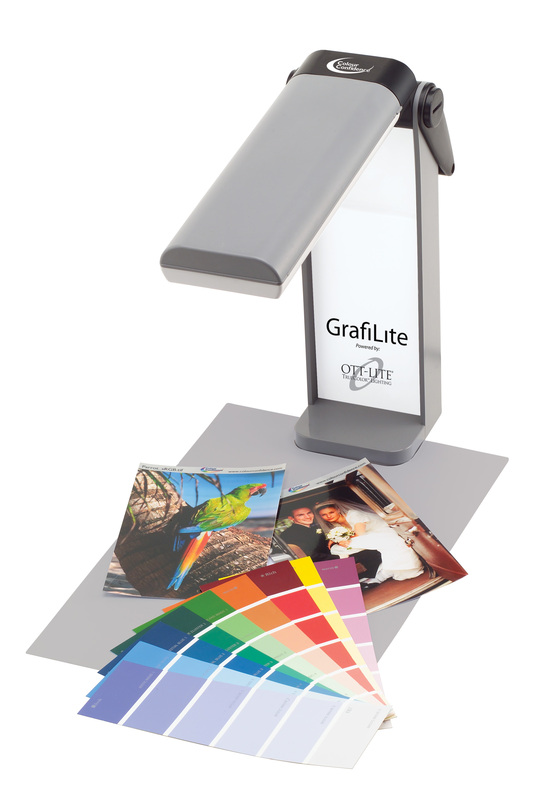 Solution – Desk Lamp – perfect for viewing colour swatches and images. A compact lamp with a single daylight illumination source, ideal for entry-level print checking against a monitor. 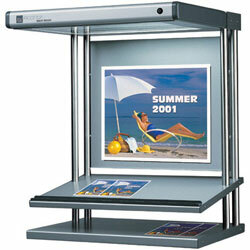 Solution – Desktop Booths – ideal for reviewing prints or transparency for comparison against a monitor. 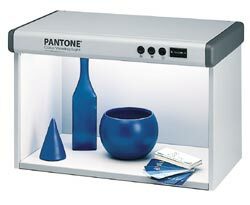 Desktop Booths are for flat prints and generally use a single D50 daylight illumination source. Solution – Large Format Booths – ideally suited for checking proof or final prints. Most have a back wall and angled desktop space for increased viewing area. Daylight source tends to be D50, but D65 can be specified if needed. Solution – Colour Appearance Booth – colour assess textiles, plastic, metallic and other materials. Normally have multiple light sources, with up to 5 different types of illumination. Built like an open box, booths consist of a flat base with side walls. Solution – Luminaires – suited for print and product assessment around a meeting table, or presentation/display area. 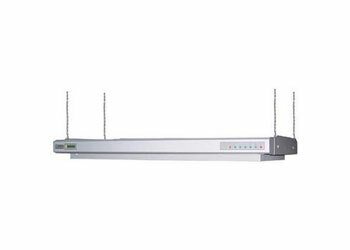 These are overhead hanging units and come with D50 illumination as standard. Solution – Light Boxes – viewing transparencies and backlit tablets for working with film, transparencies and assessing translucent materials. There are shallow boxes with a backlit work surface. You can see our full range of viewing solutions here. In the next entry we’ll look more closely at each solution, and investigate how the dimensions of the subject matter you’re viewing can influence which solution to go for. This entry was posted in Lighting, The technical stuff and tagged Light, Proofing, Viewing Booth, Viewing Lights on September 22, 2011 by colorconfidence. If you’re a regular reader of our blog, you’ll have probably seen our previous entries about lighting conditions and the importance light plays in reviewing your images. In our latest series of blogs, we look a little more closely at the tools that actually provide this light, and what components are critical to achieveing the correct environment. This week, we look at the measurements of light, and the ambient conditions that could affect your viewing. For a legitimate visual colour assessment of your prints or products, a controlled lighting environment is essential for you to accurately see true colour. All components of the light source and environment are critical, including intensity, temperature and ambient light conditions. The closer the object is to the light source, the greater the illumination intensity will be. This means it is important to have a fixed distance between the light source and the viewing surface to create ideal illumination intensity. Many viewing booths will have dimmer switches enabling you to adjust the brightness or intensity of the light. Generally, an illumination of 1,500 – 2,500 Lux is used for print comparison, whereas around 400 Lux is suggested for ‘soft-proofing’, such as comparing a print or product with an on-screen image. Temperature refers to the warmth or coolness of the subject colour. Your average household bulb is normally considered to have a ‘warm’, yellow illumination, with a relatively low temperature of 2,700˚k. For comparison, daylight temperature tends to be 5,000˚k (otherwise known as D50), which is regarded as the optimum temperature for viewing prints. Occasionally, 6,500˚k (D65) may be specified. Generally, the higher the temperature, the ‘bluer’ the illumination appears. As a general rule, prints are best viewed under D50 conditions. Products, textiles and plastics tend to be viewed in D65 conditions. Ideally, illumination provided by a viewing light should not be ‘contaminated’ by other ambient light sources. Viewing booths often counter this problem by including back and side panels to help provide an ideal viewing area and shield un-wanted light. A viewing lamp and work area should also have neutral mid-grey surfaces to not bias the colour appearance or assessment. Once you understand and know how these components effect what you see, you’re on the right track to accurately checking print or product colour. Next week, we examine the 3 key steps to defining what solution – from viewing booths to desktop lamps – is best for you. This entry was posted in Lighting, The technical stuff and tagged Light, Viewing Lights on September 16, 2011 by colorconfidence. Last week, we explored Color Efex Pro 3 and HDR Efex Pro. 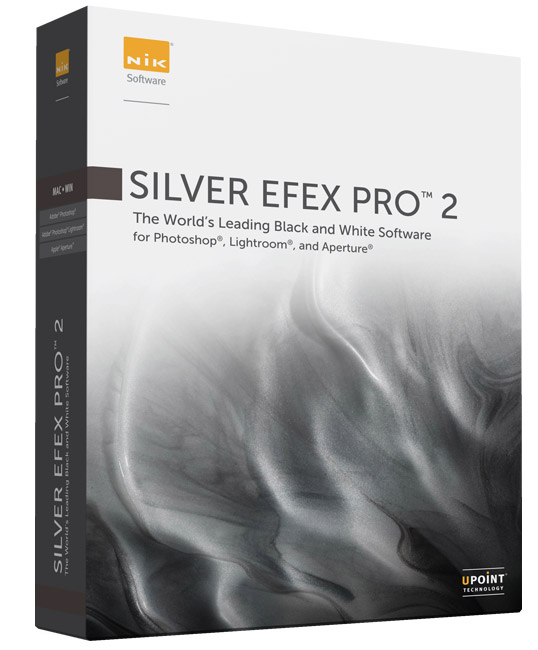 The final part of our Nik Software review takes a closer look at Silver Efex Pro 2 and Sharpener Pro 3. Silver Efex Pro 2 – the black and white processing engine. Like all Nik plug-ins, Silver Efex Pro 2 gives a range of preset styles enabling the user to find the general style you’re looking for. You can then use the wealth of settings available to assist the black and white creation process, creating that personalised image. Together with the usual global brightness, contrast and structure sliders, tools familiar to traditional film photographers are also available. For example, coloured filters can be applied to alter the contrast characteristics of the image, emulating the technique of placing glass or plastic filters in front of the camera lense when using black and white film. These filters can be effective for getting better contrast in images, or adding more definition between sky and cloudscapes. One of the more powerful features is the film stock selector which emulates the characteristics of black and white film. This can give powerful contrast and natural grain effects. If you have used film in the past and want to reproduce the style of images created in a darkroom, Siler Efex provides you with a range of tools to help you explore this effect. Silver Efex Pro 2 uses Nik’s UPoint control points allowing you to vary the monochrome effects in specific areas of the image, or alternatively bring selective colour back into the image. 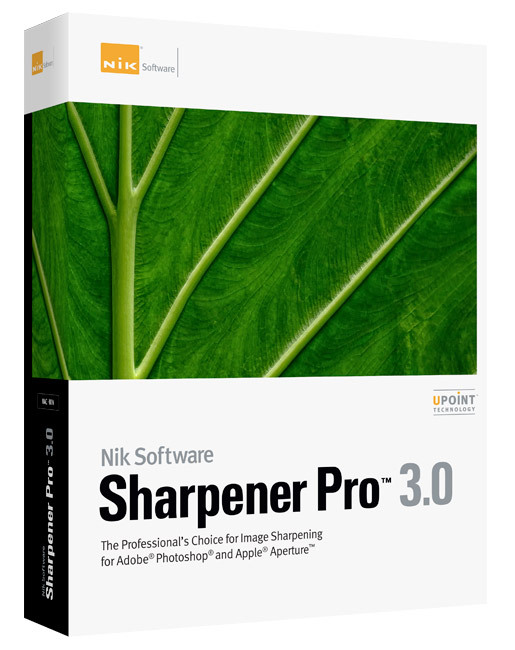 Sharpener Pro 3 – for a perfectly balanced, sharp image. Sharpener Pro 3 is a powerful and professional sharpening tool using the latest adaptive sharpening techniques. 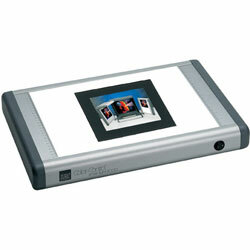 It provides accurate, controllable sharpening across the whole image, or selectively with the use of control points. Sharpener Pro 3 provides accurate sharpening without giving that ‘over-sharpened’ look that can sometimes happen when you push other systems a little too far. You get a more ‘natural’ looking, sharpened image. Sharpening can either be applied directly to the image you are working on (pre-sharpening), or applied to an image prior to printing, keying in the size and viewing distance to provide the ideal level of sharpening for the print. All-in-all, Nik Software Plug-ins give you the opportunity to customise your images to new levels, taking the time and extensive knowledge required away from the conventional Photoshop way of editing images. You can read back through parts one and two to visit the other products in the range. This entry was posted in Photography, Software, The technical stuff and tagged Image Editing, Nik, Nik Software, Photography, Sharpener Pro 3, Silver Efex Pro 2 on September 9, 2011 by colorconfidence. Last week, we introduced Nik Software to you, briefly discussing who they are, and how their plug-ins can benefit your image editing. Continuing this theme for part 2, this weeks Nik Software installment focuses on Color Efex Pro 3 and HDR Efex Pro. As with most Nik Software plug-ins, Color Efex Pro 3 has a range of presets for different types of effects. These presets usually get you closer to the desired image you want. Then, by using the adjustment sliders, you can fine tune the settings to get your preferred result, enhancing the customisation of the image. Control points – using Nik’s UPoint technology – can be used to adjust the level of selected effects within specific areas of the image. What takes a great deal of skill and knowledge in Photoshop can be achieved in just a few clicks using Color Efex Pro 3. You may already be familiar with the notion of high dynamic range, the process of layering images on top of one another has been a round for a while. However, without a great deal of knowledge of Photoshop, it can be difficult to get the result you want. HDR Efex Pro provides you with an easy to understand tool for blending multiple exposures, helping you get the most out of this style of photography. Nik provide you with a range of presets to get you close to the effect you’re looking for. Then, using their UPoint technology and various sliders, you can allow for specific customisation in certain parts of the image, tweaking it to get the result you want. All in all, HDR Efex Pro enables you to create very powerful imagery with ease. Next week, we look into Silver Efex Pro 2 and Sharpner Pro 3. This entry was posted in Photography, Software, The technical stuff and tagged Image Editing, Nik, Nik Software on September 1, 2011 by colorconfidence.